Well, what I want to show you here is my milestone. My attempt. My journey to achieve my dream as an author. I have been writing fiction since middle school, I think. I started to sent my story on middle school too, I think? Or when I graduated from high school. I don't have a clear memory on it. The oldest attempt that I remember is when I'm graduated from high school and tried to send a short story to a teen magazine. After that, I tried several times and *of course* got rejected. Haha. When did I start to write my first story? I really need to rack inside my brain storage. The oldest one I remember is when I did my essay assignment for school project. I remember doing an essay on a Japan novelette. I Give You My Wings. I think it's the title on my essay. It's a good story. I remember a scene when the two main characters sits on swings and talk about life. Well, it's not my first story, but my first writing project. I also remember doing essay on Siti Nurbaya, an Indonesian Classic Novel about arranged marriage. Well, now let's get serious. I think my first story is the one I write with my friend at third year of Middle School. What is the title... Let me remember it. Uhm... I don't know. I remember there's one titled as 'Andromeda'. But I think it's not the first time. I don't really remember what is the first. There's another story before Andromeda. I remember that I worked on the story with my friend who love to write too, but I think we didn't get to finish the story. I think I remember some stories that I came up with, but I don't really remember when is the exact time I wrote it. Is it when I'm in Middle School or start of High School? I told you before that I really like manga. That's why at first my story is manga style like. One story that I still remember so much the story line is... 'I'm a Dreamer'. It's a story about a girl who has no childhood memory but keep dreaming about two boys who claiming they are her fiances and childhood friends. The story is much a fantasy. The story jumps between real world and dream world. Then another story that I remember is a story that I wrote because I have a crush on my senior. Haha. I don't remember what is the title but I still remember the outline. XD I even gave male character name with part of my senior name. Hahaha. Once my neighbor, an adult male, who help me with my computer secretly read my story when he fixed my computer. I got real angry even when he said it's good. It's a time when I really hate people read my story. But that time, mostly the story is BL since it's fan base forum. If you're never been avid fans of KPOP, or J-Culture you'll never get to understand why fans really like to write them. Me, personally, doesn't really like to write that kind story. But I need to acknowledge this, some of the stories are good. I mean, really good. They are well-written stories. You can't never judge them for liking that genre. It's a time when I started reading in English too, because all the stories are in English. But it's Indonesian Forum. Lol. But I'm glad that time I'm reading it. That helped me to improve my English. Since I wanted to understand what the story about, I kept writing each vocab that I didn't understand and searched the meaning on dictionary. The story is more less like Sleeping Beauty's story but when the twist is that the 13 fairies are Super Junior. The King and Queen is Yoochun and Junsu. And of course the Prince and Princess are Yunjae couple *the most famous couple in TVXQ*. The story itself is hilarous and too many nonsense, but hey, it's a fan fiction. Second generation fan fiction is still not well-polished like novel like nowadays fan fiction. It's okay to be nonsense that time. The more hilarious, the more people will read your story. But I swear, that is my only BL story. I thought I'm not suited to that genre. My second FF is more serious. I think it's titled Tetra-logy Love. It's a complicated story about a girl who loves a boy that looks similar to her ex boyfriend, but problem is the boy is a gangster. That's my first time write in English. Oh... no... I think my second FF is about a girl who transport into TVXQ's dorm and live with them. I remember that I didn't use TVXQ's name as the characters but I twisted their name into new name. But I discontinued the story. Back to Tetra-logy Love, that time I tried hard to make friend with another forum member by using some forum member's name. But it's hard because those people always doing fan fiction within group only. Those forum founder always think that they are exclusive and they have their own inside jokes that other people wouldn't understand. But what's funny, they also back-stabbed among their selves. lol. What a society. Next, after I get bored and stuck with Tetra-logy Love. I start another FF. This time is more-like my age. XD It's a crack story. I don't remember the exact title, I think it's called After TVXQ Get Married. I used to think that TVXQ is really close to each other to the extend that even when they got married they would stay together. That was the idea of the fan fiction. How if after TVXQ got married they still lived in one big house. But the difference was from outside view, the house was only neighboring. Like one of Beatles's film, you remember the scene that Paul McCartney, John Lenon, etc walk inside their perspective houses then inside the house they actually lived together. But I swear, that time I don't even know that film. I only realize that my idea is similar to Beatles' film when I'm in University and my lecturer showing that film in class. LOL. That time maybe around October, 2007. That's when I started to have friend in the forum. Two friends which now still my best friends. But funny, actually at the start one of them and I didn't really close. I used to hate her, er... moreover like jealous of her. She told lies so well and I was being naive that time, so I believe every words she said. Even until now, she still really good telling lies on people, twisted the story so people will believe her nonetheless. But now, I realize that is her way to gain attention. She was too lonely. But above all of that, she is a good friend. She takes care of me well. So, I don't really care about it. Beside, it's always entertaining to hear her twisted story. Haha. With that friend, I start something that ughh... I really don't want to remember I ever write those kind stories. XD My teenager's hormones is raging that time. I co-wrote with that friend a story that controversial. For the first time, there is a that kind story written in Indonesian. There are many readers like our story for the scenes. The story is called The Way We Love You. The story started in 2007 and not finished yet, even though we know how to finish it. It's also hard to write that story again. Both of us realize that it's horrible. How could those people enjoy to read those stories before? It's a big question. After that my friend and I keep writing, but we never co-writes any story other than that story. She wrote her own genre and I wrote my own. I can say that she was a good story teller, you know. She had more readers than me every time she published her story. She had more finished story than me. I used to keep coming up with new ideas and never finished the story. XD Until now I also still do that. I got 12 novel drafts and not finished yet. After that story, I think I post some title again. One of them I ever posted it here. It's titled 'Part of My Life'. The story is created in 2008/2009. I think it's my first story that I finished after After TVXQ Get Married *That I finished too soon because I don't know how to continue the story. * My other best friend was like 'Hallelujah. Finally, you finished up a story'. LOL. She always said that I always come up with good idea but it will be better if I write and finish it. LOL. Another story that I finished is the one remake story from my best friend's favorite manga. It's called Memory. I wrote that story dedicated to her, because she gave the book to me even though she likes it. By the way, I said on the Part of My Life's post already I think. That story holds a meaning for me. I write that story with all of my heart. Some readers also said that she cried when she read the story. Because TVXQ also part of their life. The group hold big part of their life. And also in my life, I cannot imagine life without ever know about them. They taught me so many things. That's why as an appreciation, I wrote what I wanted to say to them in that fiction. That, one day, before I died, I really want to thank them for giving color to my grey life. Before I know them, I was leading a monotone life. I don't have friend and having hard time in school. High school is used to be kinda scary place for me. Because of my selfish attitude, once I was bullied by the whole class. But, because of TVXQ, they saved me and giving me a chance to get closer to my classmate. Then, after the story... I think I post a story called Stop The Time and Err... I don't remember the original title, but after many revision the story is called Two Paths. Oh and also a one shot story called Summer Memories. I think I post Summer Memories then Two Paths first. The story is about a girl who get pregnant by her brother, but her boyfriend take the responsible. I finished the story within a week I think. But I never get to finish post it on the forum, because that time TVXQ got into trouble and lead to separation. The forum was closed down. But that story has its own fans. Haha. I remember one of my readers come to me and said she was a fans of the story. She wanted to read that story again, but the forum was already closed down. I think that's also my first time write novel-like fan fiction. It was like a whole another level of my writing milestone. I also showed it to another friends other than KPOPers friends, my high school friends. Big step, huh? I never like people I know read my story but I showed it to them. There's another bigger step I took actually. I re-edit the story and sent it to publisher. LoL. Oh, wait before I told you my first publisher rejection, I want to tell you something first. At waiting time, I wrote a story for a magazine actually. I think it's called You. To say truth, I don't remember what I wrote in there. But I think I write something about Jaejoong *I'm a fans of him*. It was for a newly published teen magazine. But, I don't get to win the competition. Well, now about my first rejection. The first time I sent my novel draft is to Gramedia Publisher. Two Paths is the one I sent. I waited for 3-4 months only to have rejected by phone. T_T *hiks* Actually it's even more than four months, I think. If I didn't make a call to them, maybe they also forgot to reject my draft. At first time, of course I was sad, but now I clearly understand why it was rejected. First, the story cannot be accepted in Indonesia. Second, I have so many typos on the story. XD It was a horrible draft presentation. No editor would want to read a draft which contain so many typo and false EYD. After that, I think I don't really write any story. Only came up with an idea and nothing. I was focusing on my university's project that time. First year has so many assignments. We need to make some short movies. That time also maybe because I lost my muse. After TVXQ went absent from entertainment world, I don't know who I'm going to write story about. It was only for three years, but I have already felt like I spent most time of my life on TVXQ, thinking about them. I don't really remember the timeline how I wrote a story after that actually. So, I will summary it in here. After the time when the forum was closed down, actually I think it's the time when I started blogging on Wordpress. But it's weird, my oldest post is 2012. Hmh... Did I write something somewhere else? Anyway, remember the friend that I told before. The one who write well. She is the one who introduce me to AFF, I think. She told me that she found an interesting story about Jaejoong there. I took a look on the forum and read it. I also make an account there. But, actually AFF isn't like AFF nowadays. It used to be hard find any story there. The forum layout is kinda confusing for me who isn't techno-type person. That's why I was in hibernation after I read the story my friend recommended. I only did blogging on Wordpress. But that time I also not an updater. I don't do update so often. I think I started to write something again when I started to like BEAST. First Beast Fan fiction that I wrote is called A Weary Heart. It's about a criminal on the run who feels tired of killing but cannot help about it since he needs to defend him self and his lover. It's featuring Doojoon. I also posted it in the blog, but you won't find it under A Weary Heart name, because I re-writes the story. But I posted the original story on behind the scenes of [Un]Broken Promise. Ah, pardon me for my jumbled memories. I think, after I writes A Weary Heart, I tried to send my Two Paths story again to another publisher on 2012. That time, Penerbit Haru was a new publisher and they published Korean story, that's why I tried to send my draft. In hope that, they will accept my story. But to think about it, I was really rude when I asked about the decision. >,< I'm sorry, Haru's Editor-nim. And the result: they don't even bother to give me reply for the rudeness. lol. After I wrote A Weary Heart, I think I started to write Amour Délicat. Ah... no, I just checked on the story. I wrote Amour Délicat first before A Weary Heart. I started the fiction on Jan 10, 2012, then A Weary Heart on Mar 3, 2012. Amour Délicat is a story featuring Junhyung, Doojoon, and OC Girl. It tells about an arranged couple after one year they get together. It seems well at first after the storm of 'arrange marriage typical story', but problem arised when Junhyung's ex-girlfriend come back again and said she is pregnant with him. Actually the story itself is interesting, but I don't get to finish the story since I was bored. *Syorry readers*. Well, actually more like, I was embarrassed by my horrible English Grammar. Maybe one day I'll re-writes the story in Indonesian. What next... Uhm... I think after A Weary Heart, I write 30 Days as Superstar's Girlfriend which is in this blog I post under Hello, Stalker Fans! I write that novel with Jaejoong's life in mind. There's one Jaejoong's words that imprint inside my mind. It was about he wants to walk on Myeongdong Street with his girlfriend in the middle of crowd. He did saying that in one of interview. When I read it, I was like. It's a pity of him. As a public figures where camera 24 hours around him, it's a hard task to do. The wish is so simple but he cannot do it without sacrifying his almost whole life career. My goal once was to showcase the real feeling and situation, but it seems like I'm failed on doing it. Haha. I was too lazy to do research. As the result, it was rejected by Haru again. I dunno, I was like obsessed with Haru after sending Two Paths. I keep trying to be able published my story there. Maybe it's because Penerbit Haru is the only publisher who focus on Asian story unlike other publisher. I'm curious what kind story they actually searching for because at early years of Haru, it seems like they never accept any kind story even though they keep opening the chance. I never saw any writers name other FLOCK and overseas writers. I even tried to join them as an editor when they open recuitment once. Lol. Of course I failed after the test. Terima kasih atas kiriman naskahnya. Setelah kami baca maaf kami belum bisa menerbitkan karya Anda. Coba belajar lagi EYD dan penyusunan kalimat yang baik. Setelah itu belajar membuat plot cerita juga dan juga riset. 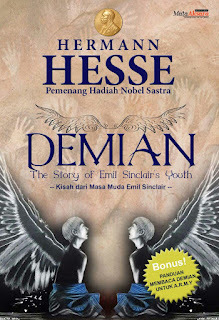 Banyak-baca novel yang sudah terbit ya. Jangan bosan-bosan mengirimkan naskah ke kami ya. This is what I received as reply for Hello, Stalker Fans! Actually, I was down after this reply. But I didn't give up. That's why I tried again on 2013. I wrote One Third. It's a story about a girl who has no dream for life and always be negative on her surrounding. One day, she meets persistent boy from a boy band and then she learns to find her dream through her meeting with him. That is what it's about more or less. Terima kasih telah mengirimkan naskah kepada kami. Setelah membaca naskah Anda, maaf kami masih belum bisa menerbitkan karya Anda. Tetap bersemangat menulis ya. Kami tunggu karya Anda berikutnya. That's what I received as reply. But, really I gain so much every time I tried to send my story to publisher. Their feedback always help me even though I was down every time I received a reply like this. Lol. But that time I still didn't realize that it was helping me. I kept thinking that, they cannot understand my story quality. I was upset. That's why stop sending my drafts after I lost on a writing competition. I told you when is it after this. My next story is called Neither Forever. It's written when I started to like EXO. The story is about an ex high school couple which had a hard break-up come into a term that they don't believe in love and forever anymore. It started this story around November 30th, 2012. I posted it on AFF. It was never finished there, because after a while, I decided to send the story into writing competition held by Haru. It's a romance writing competition. I need to send 50 pages story. Whatever, after lose on the competition, I was thinking to stop trying and only write fan fiction. On October 18, 2013 I re-write my BEAST Fan fiction, A Weary Heart into [Un]Broken Promise. You can find the story in this blog too. I prolong the story and add more drama here. But actually I think, the original one is better. When I wrote this one I didn't cry like before. 3. Now is Good, featuring Jaejoong. You can read the drabbles in this web. I posted it already. Featuring Gyuri Kara, Seongyeol, and Myungsoo Infinite. All of them are loved. I'm really glad that my readers are supportive here. They loved it every time I post new chapter. This is the first time I received such a big acceptance in AFF. I really appreciate it. That's also what make me keep writing there. While I'm posting about Love in Vain, I also posted two B.A.P fan fictions. It's Save Me and the sequel 15 Minutes to Last. Actually Love in Vain and Save me series are written within my graduation from collage time period. So I go to next time period. One of the memories that I remember the most in this period is when I decided to enroll at Kampus Fiksi. It's around 2012 late year/2013. I forgot the exact time. What I remember is the announcement. Lol. I send my After Love to enroll and succeed to become 11th generation for Kampus Fiksi that hold on January 2015. It was such a big step for me when I decided to learn how to write correctly. I was used to write as I want only, I don't really think about grammar or anything. Just how to share my thought and feeling. On 2013, actually I didn't write anything other than Love in Vain third installment and Save Me series. That time period is kinda hard for me actually. Struggling between keep being a child or grow up as an adult. I need to face real world and get a job meanwhile I really hate white-collar job or field type job. Basically, I hated responsibility. During this time, I read so many fan fictions within slice of life and angst genre, because I felt that those genre is the only genre that I could feel related. Some of them also help me to feel or to cry when I really need to. If you read my old blog post, you'd probably know that I'm struggling to feel a feeling. I don't know how to feel and react on emotion. I was just selfish and ignorant. I was scared to feel anything. I tried to make my self numb so I won't cry. I hate crying. In shorter words, I took a long absent from writing during this time. I find it's hard to write anything. Story that I wrote during this time are only abstract drabble such as You're My Butterfly and Breath. Every ideas I came up with, always didn't manage to be developed. I hit a wall. During this time, an announcement that Kampus Fiksi for my generation will be held soon, around late of 2014. I felt really happy when the mail came. You can read the rest story on my blog post. At first months when I start working officially, I feel into a depression actually. That's why my next story is really dark and angst. I write a long-chapters story for a year, during October 21th, 2014 - March 28th 2015. It was a very long-run story. My other reason to write a dark story is also because I need to let out the angst feeling inside me. That time I only can see negativity. It's not because the work is hard, but it just there's so many things happened in sudden. Not that sudden. It's been like that since I'm in third year in university. I was fed up about the situation. For a disclaimer, even thought If That Was You was a story that I made to release my angst feeling, the story itself isn't my life story. If That Was You itself tells about a woman who stop living in real world once her beloved boyfriend died in accident and they also lost their baby during that time. It made the woman live in her mind only. After I finished the story, actually I realize that that story is the story that I want to make when I'm developing my Final Assignment project. I think I posted the synopsis here too. Under 'Butterfly Dream' title. It was similar to that but the main characters isn't Infinite but GOT7 Mark and Jackson. Lol. Actually, I only start the story with Mark and Jackson as my characters for fun. I don't really like them at first. It just GOT7 lately got bigger in AFF. I found that their story are also interesting. So, I gave it a try to write it. I even don't know that the story will turn out to be that dark. At the first time I posted it online, I tell my readers that I don't even know what I'm going to write or how the story will turn out be. I also thought that I always want SuAh to become with Jackson. But at the story development, it turns out that SuAh still love Mark so much. My character wanted it, so I let her do that. Anyway, this story is my first story that hits 120 subscribers and more if I don't make bad ending. Lol. Most of my readers ran away after the bad ending I gave without explanation. I was tired when I decided to end the story. The story turned to be out of my hand. I cannot handle it any longer. And also there's so many holes on the story, that's why I decided to end it. But with a thought that I will comeback to that story and re-writes it. Now, I'm working on it actually. I do research and trying to outline the story. But this still has a long way before I finished the story because the idea is bigger that my capacity for now. I'm trying to upgrade my self so I can handle the story that I really want to finish it well. After February 2, 2015 I'm starting to be more active in writing. I thought this time is my most productive time period. I managed to write 4 short stories, one novel, and many articles that you can see here in this website. I also tried to review books. I think joining Kampus Fiksi is upgrading me. I learned so many things during 3 days 2 nights. It was like my eyes now wide-opened. I feel ashamed whenever I do typos. I become more eager whenever I found wrong grammar on story. That's all my writing background. If you are keeping up with me after this long post, you'll realize that I was heavily influenced by KPOP Fans life style. I watched many dramas and read so many Korean story and fan fiction, that's why my style like this. From manga-like style to K Drama style. 2009 Sent a short story to Teen Magazine. Result: Rejected. 2010 Sent Two Path to Gramedia Publisher. Result: Rejected. 2012 April, Sent Two Path to Haru Publisher. Result: Rejected. 2012, November 11th, Sent 30 Days as Superstar's Girlfriend to Haru Publisher. Result: Rejected. 2013, August 9th, Sent And Forever to join a writing competition held by Haru Publisher. Result: Lose (Result was announced on October 15th, 2013). 2013, November 19th, Enroll Kampus Fiksi. Result: Succeed. 2015, January 30th-February 2nd, Kampus Fiksi 11th generation. 2015, February 14th, Sent a short story for Kampus Fiksi 2nd year Celebration, titled Janji Secangkir Teh. Result: Lose. 2015, March 14th, Sent a short story for The Script 2 Project for an anthology, title: Obsession. Result: rank around 15th. *I don't really remember. * It was included on the anthology. 2015, March 15th, Post a short story for Arisan KF 11, title: Hanya Sekadar. Result: Win the round. It was posted on Kampus Fiksi website. 2015, June 20th, Sent Caffe 0419 to Grasindo for PSA3 Writing Competition. Result: Lose. 2015, October 09th, Sent Janji Secangkir Teh to Basabasi.co. Result: it get published on the site. 2016, February 15th, Sent Never in Neverland to Kampus Fiksi Emas. Result: Lose. 2016, March 10th, Sent Dunia Rasti (Never in Neverland) to Basabasi.co. Result: Rejected. Yey! My First Acceptance Letter!